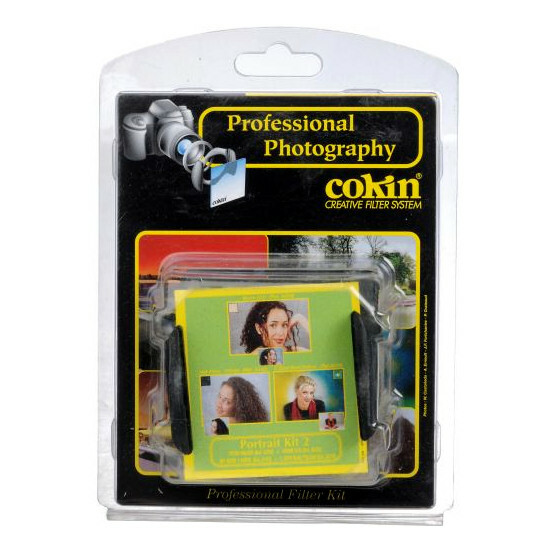 Cokin H201 Portrait 2 Kit: Includes P Series Filter Holder, 81D Color Conversion Filter (P035), Net #1 White Filter (P142) and Blue/Yellow Bi-Color Center Spot Filter (P674). The 81 Series of filters control the bluish coloration that affects daylight film. An 81D is used as a warming filter to eliminate the bluishness of open shade on very clear days. The 81D is stronger than an 81C and is also used for general landscape photography on cloudy days as well as to add more of a "suntanned look" in portrait photography. Cokin X-PRO Net filters consist of a net-like pattern on clear optical resin. This creates a diffusion effect, minimizing unwanted details while maintaining image clarity. 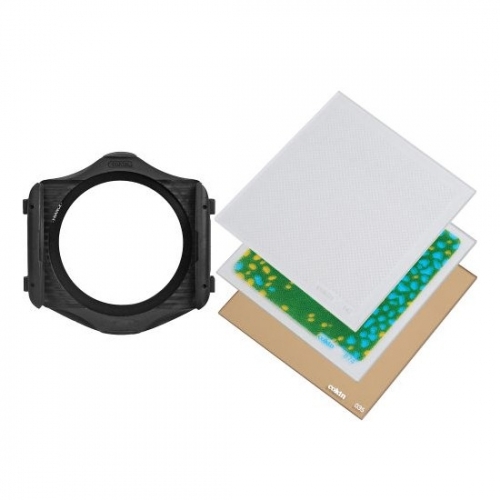 Ideal for portraits with best results achieved when larger apertures are used. The Cokin Bi-Color Center Spot Blue/Yellow filter has a clear spot in the center and allows for the portrayal of an object in a blue and yellow random surrounding. The filter effect is directly influenced by the f-stop and the focal length. The transformation is softer with wider apertures. The size of the clear circular area increases relatively with the selection of longer focal lengths. The exposure determination should be done without the filter. If the camera has the capability of spot-metering, then one can measure with the filter in place.